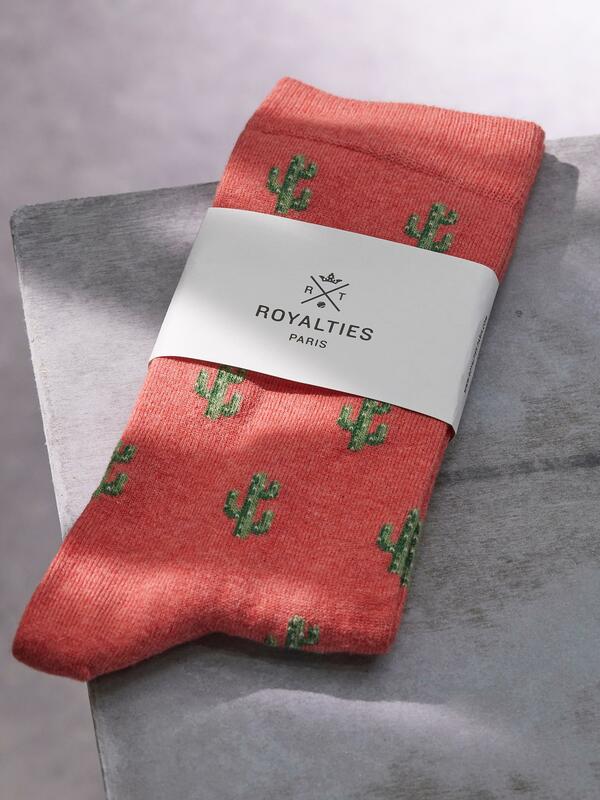 It translates traditional motifs and makes them available with an originality that’s specific to French style: ROYALTIES®, the brand that adds chic to socks! Pair of socks, Cactus style, in an ultra-soft quality yarn. Reinforced toes and heels. Ribbed edging for comfortable support. One size, 40-45. 80% cotton, 15% polyamide, 3% polyester, 2% elastane. The blend of fibres is designed to bring maximum comfort, ease, and softness. Origin France. Made in France.